Thankfully, the wind died down last night and we both slept well. It was a nice downhill hike to Shelter Cove and we got there by 10:30am. 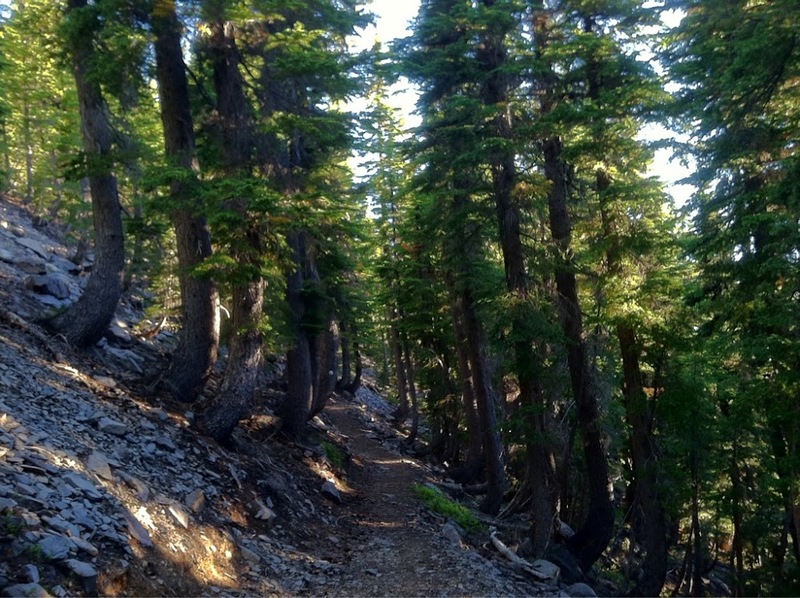 I know many hikers are taking the shorter and easier alternate route, but I really liked the scenery and trail up by Diamond Peak. On the way in, we saw Murphy and Dump Truck, who I had met coming out of Belden when they were southbounding a section. Now they are headed north and I will catch up with them again in a few days. Then we met Billy Goat! I saw him walking towards us and immediately recognized him. Those of you familiar with thru hiking know that Billy Goat is one of the most well known thru hikers on any trail. It was like meeting a celebrity for me! He is 72yrs old and has hiked over 40,000mi. 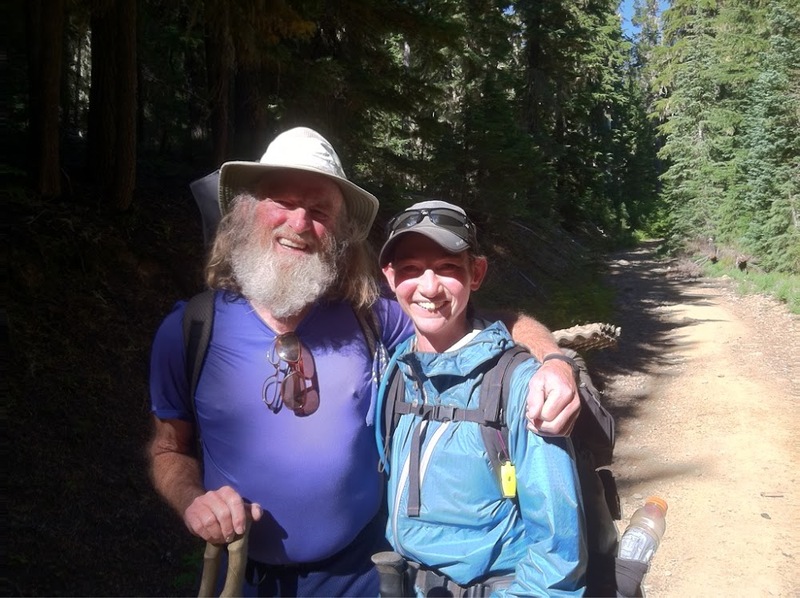 He has done the PCT six times, is a triple crowner, and has hiked countless other trails. He is doing a north section this year because of all the snow. I had to get a picture! He is hiking with a woman named Ameba. They encouraged us to join them at a great public hut that they would be staying in later that night. It looked like a great spot that was right on the trail just north of our planned stop, so we decided to go there if we had time. When we did get to Shleter Cove, the whole gang was there as I expected. Liz, Funyan, Meow Meow, Half Fast, and Red Blaze. 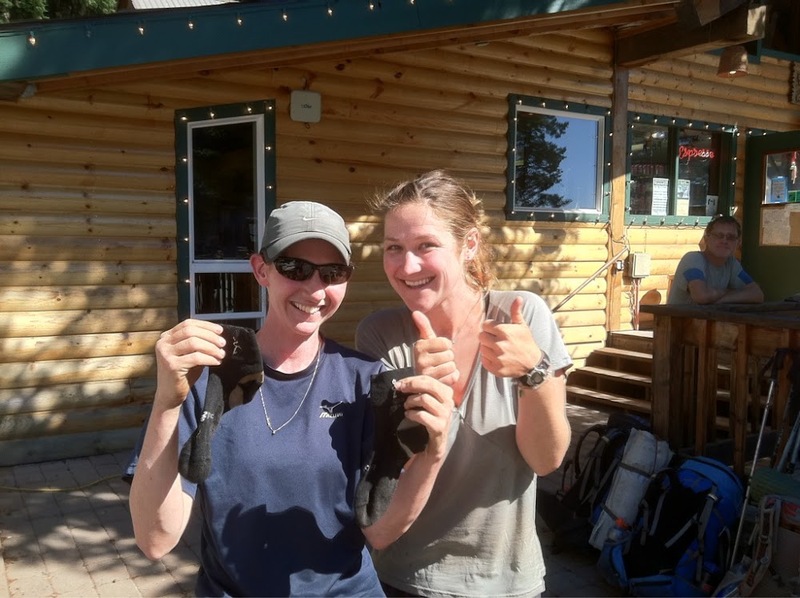 They were just heading out as we were arriving and Liz was able to give me my socks that I had accidentally left to dry on a log almost a week ago. I was very excited to put on “clean” socks after wearing the same pair every day since leaving the others behind. What will I do when I leave gear or clothes behind now that everyone that I’ve been hiking with is moving ahead of me? I better hope I stop dropping stuff! After they left, we saw LaFonda and Euro Trash. I haven’t seen them since the first day when we rode in a shuttle van together to the Mexican border. It was really great to see them. Jennifer and I spent almost five hours at Shelter Cove and it was a great day to relax. I we were able to resupply, charge our electronics, eat, and take care of emails and phone calls. 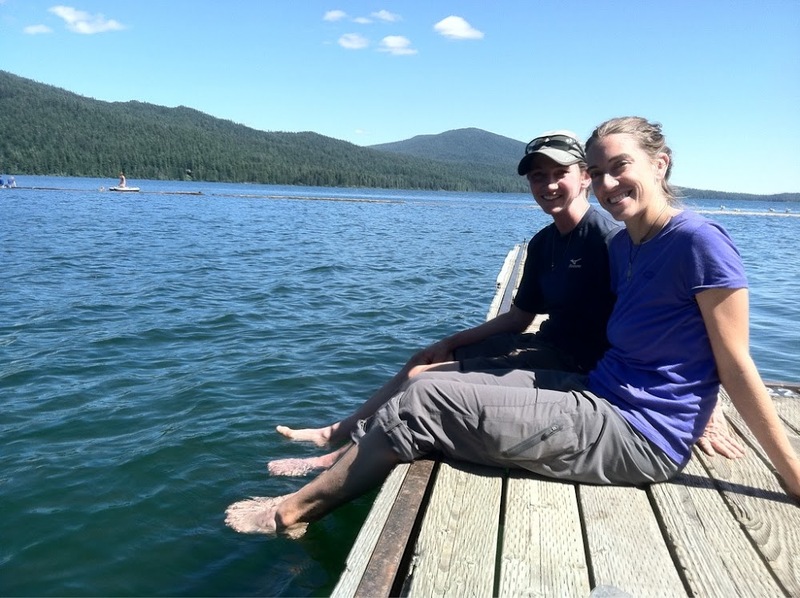 We also relaxed in the shade and on the dock of the lake. We had hoped to swim, but it was too cold for us, so putting our feet in was satisfying enough. Just after 3pm, we headed out to find the snow hut that Billy Goat had mentioned. We passed some very tempting lakes with great sites, but thought the hut sounded like a better choice for tonight. The mosquitoes got much worse as we hiked in and we really knew we had made the right choice. 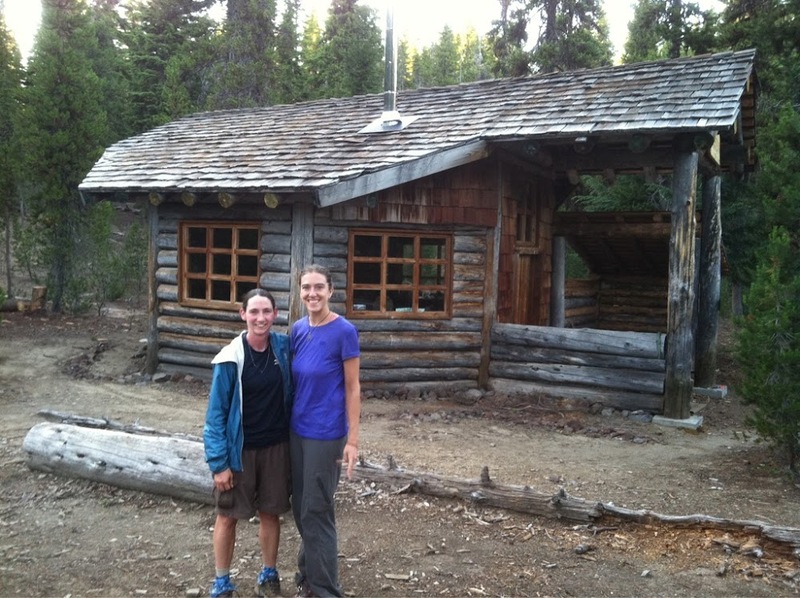 The hut was a good mile or two further than we thought, but we finally spotted it off the trail. I was so relieved! It was a great octagon shaped hut with a wood burning stove and solar powered lights. It was even greater to spend an evening talking with Billy Goat. He was really sociable and just loves hiking. When asked where home was for him, he said the PCT. What an experience! We are currently sleeping in the upstairs loft of the hut. It was a great last night for Jennifer who will leave the trail tomorrow:( Whew, what a day!